Problem solving is an essential skill in teaching math and other subject areas. In fact, this is a skill that needs to be taught in early grades. It leads to students learning to ask questions and apply mathematical concepts in solving problems. Creating a classroom culture of problem-solvers is an important element in developing 21st Century learning. In turn, this prepares students for real-life situations and the job market. Students can problem solve in a fun way with Magic Squares. 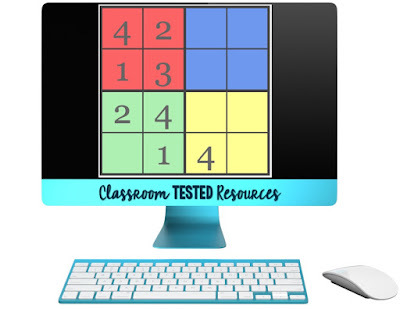 As students work the magic squares, they develop a strategy for solving the problems. 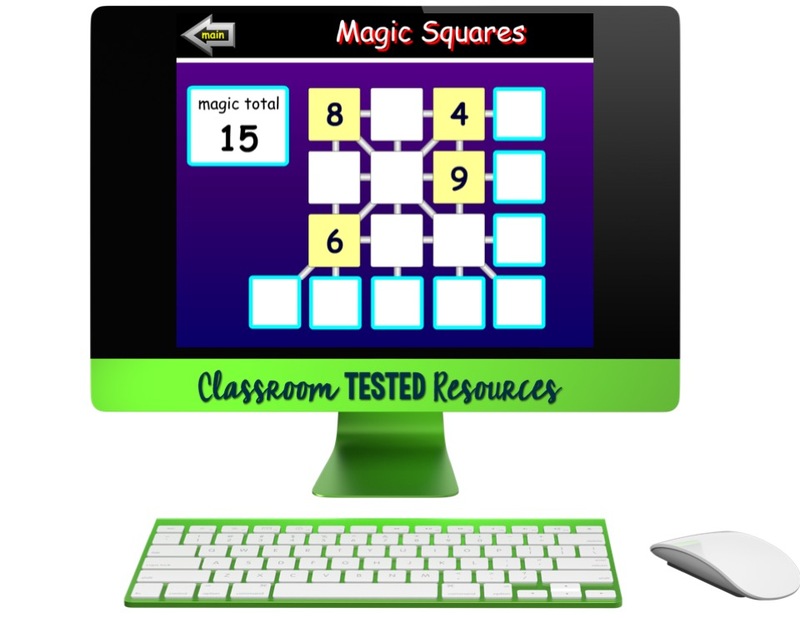 See if they can find patterns as they solve the magic square. Sudoku is not just for adults. Sudoku puzzles can have images and numbers. It's the same process with both. The puzzle shown below is pretty simple. The numbers go from 1- 4. I always recommend doing these together to help students and talk out the puzzle. Then, let the students try them. This activity is good in developing strategies, logic, and using the process of elimination. Students are timed to solve problems using all operations. 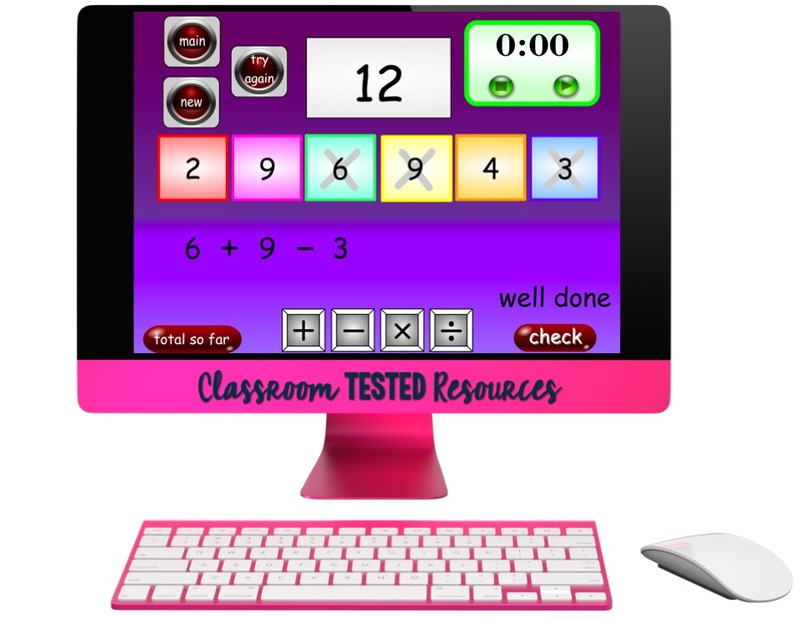 This game tests mental agility and mental math. Let's see how they can handle working within a certain amount of time. This is a fun game to display on a whiteboard. 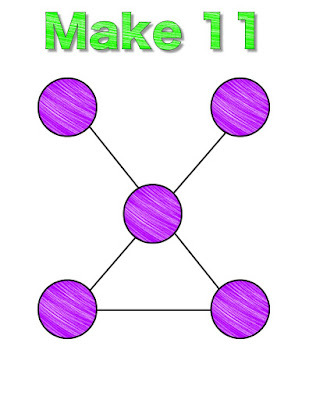 This has to be my favorite math website. 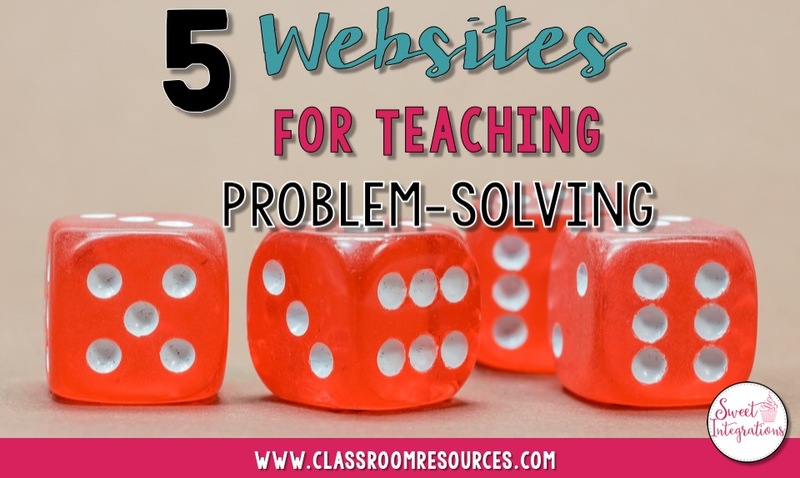 There are so many different activities that teach problem-solving. And, there are different levels for differentiation. 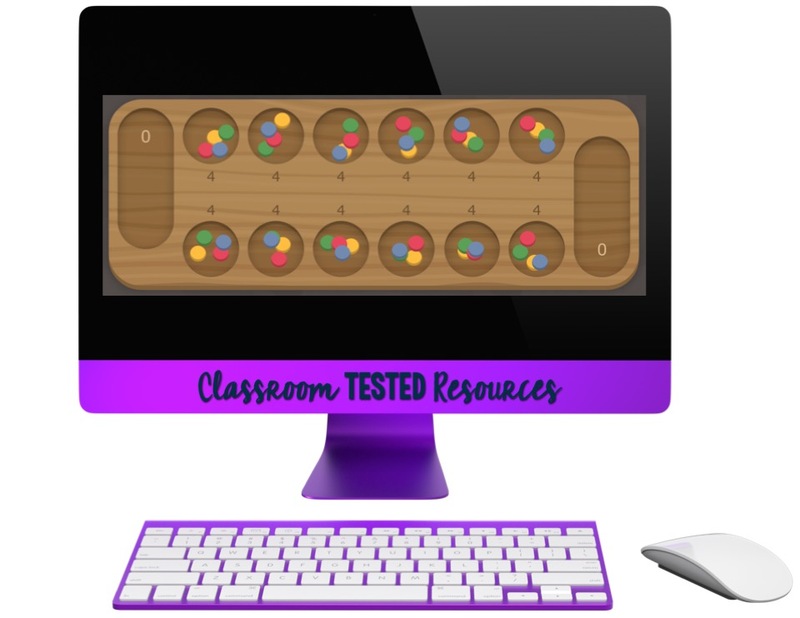 - Mancala - There are several games that are from other countries. Mancala is believed to have originated in Africa. Players would use pebbles or seashells with scooped out wood to play the game. This is a popular board game is great for problem-solving and critical thinking. - Gomoku - This is a Japanese logic game that is similar to 5 in a Row. Students can develop a strategy to get 5 in a row. - Mastermind - Students use deductive reasoning to guess the colors and pattern of the hidden pegs. "A problem is something you do not immediately know how to solve. There is a gap between where you are and getting started on a path to a solution. 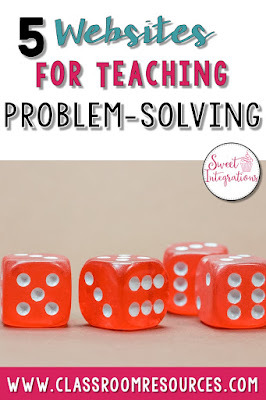 This means that your students require thinking and playing-with-the-problem time. They need to test out ideas, to make conjectures, to go up ‘dead ends’ and adjust their thinking in the light of what they learn from this, discuss ideas with others and be comfortable to take risks. When students are confident to behave in these ways they are then able to step into problems independently rather than immediately turning to us as teachers to ask what to do!" 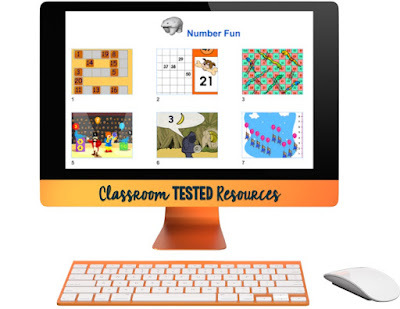 To access my Google Slide Activity, just click HERE or on the image below. You will be directed to make a copy. These can be renamed for each student and saved in your Google Drive. 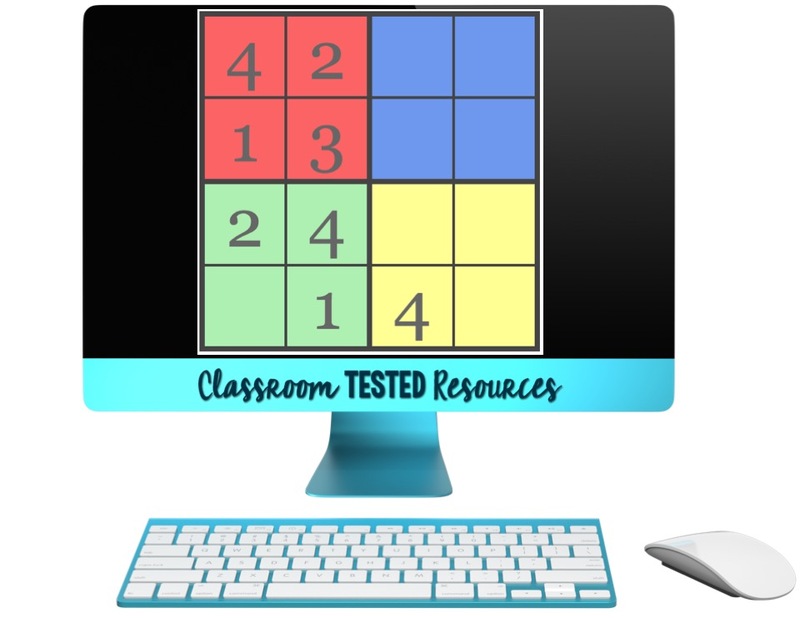 can you post the links for the math squares and Sudoku?